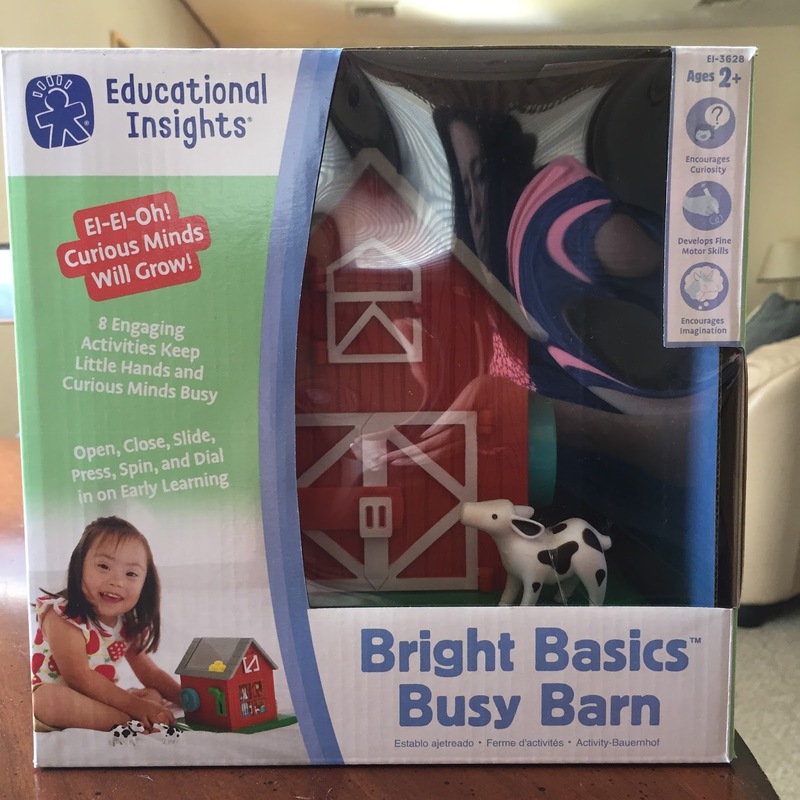 Educational Insights® heeded the call from parents of younger kids that they needed tools to explore their world and develop early learning skills. 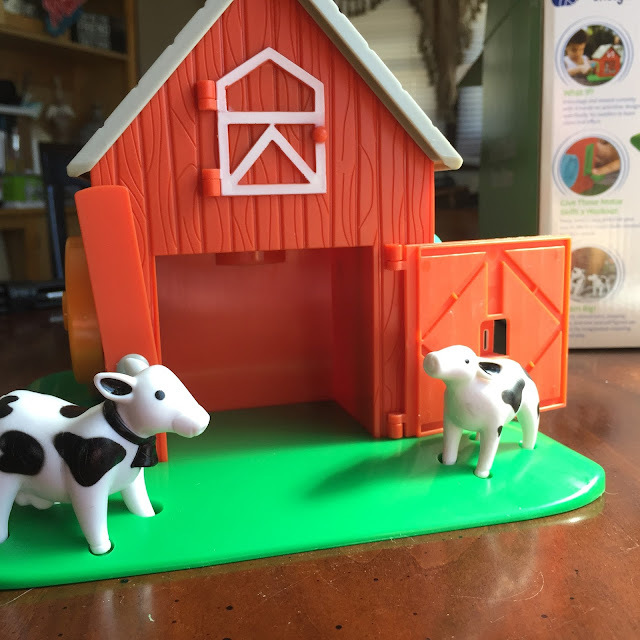 With the new line, Bright Basics™, Educational Insights is reaching a new audience of kids ages 2-4 and helping parents discover ways to learn through play. 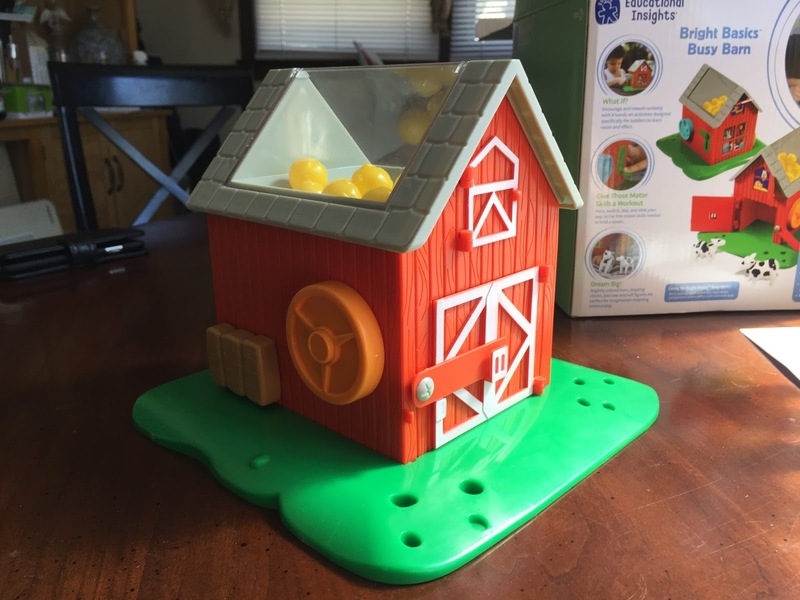 With 10 products which all come with parent activity guides to help them use the toys to teach, this line takes classic toys like the Busy Barn and elevates it. 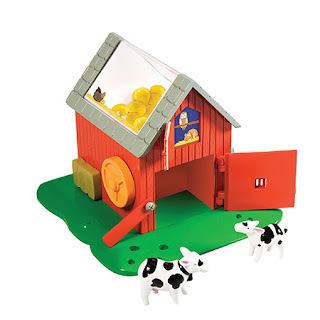 All the toys have a hint of a nursery rhyme theme too! Bright Basics Busy Barn is perfect for little ones. My preschool class was the perfect age to try it out on. They are 2-3 years old and loved everything about it. They loved hearing the sounds of the turning knob and the flickers. They love finding the hidden animals inside the doors, the love the cows but mostly they love the poppin' chicks. What I loved was how cute and colorful the barn is. 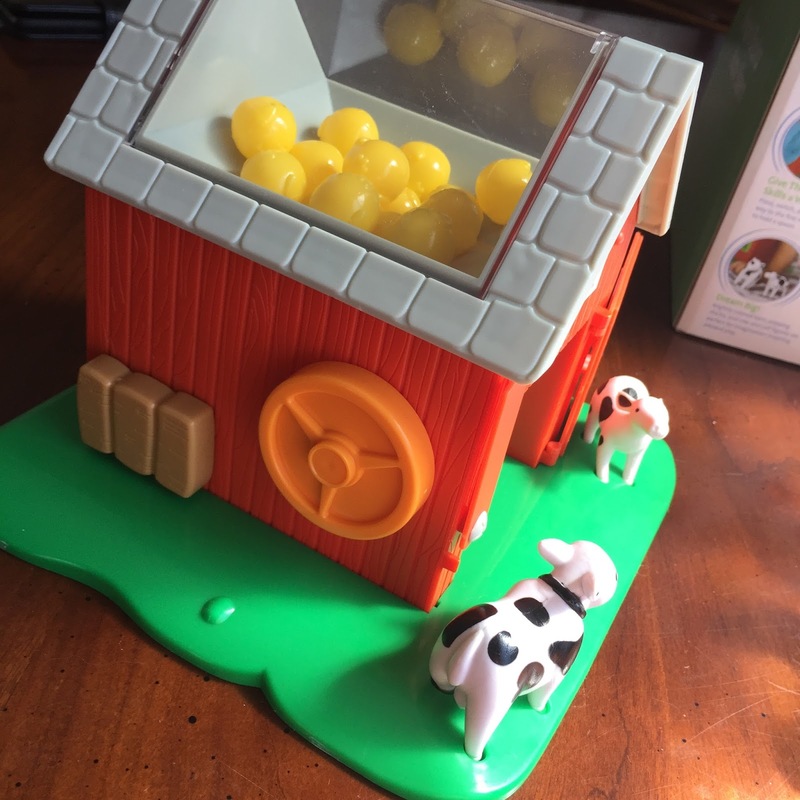 I love the momma and baby cow but I also loved the poppin' chicks. The chicks stay inside the barn and can be seen clearly through the clear plastic roof. There are a total of eight toddler friendly activities including doors that open and close, switches, buttons, dials, poppers, and more! Want to see how it works? Check out my video below.